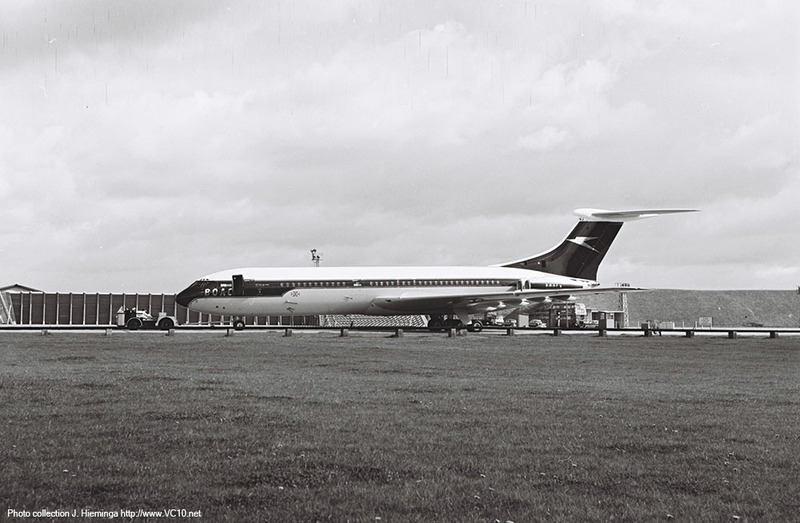 16 January 1963 Registered as G-ARVJ to BOAC. 25 February 1964 First flight. 23 April 1964 Delivery to BOAC as G-ARVJ. 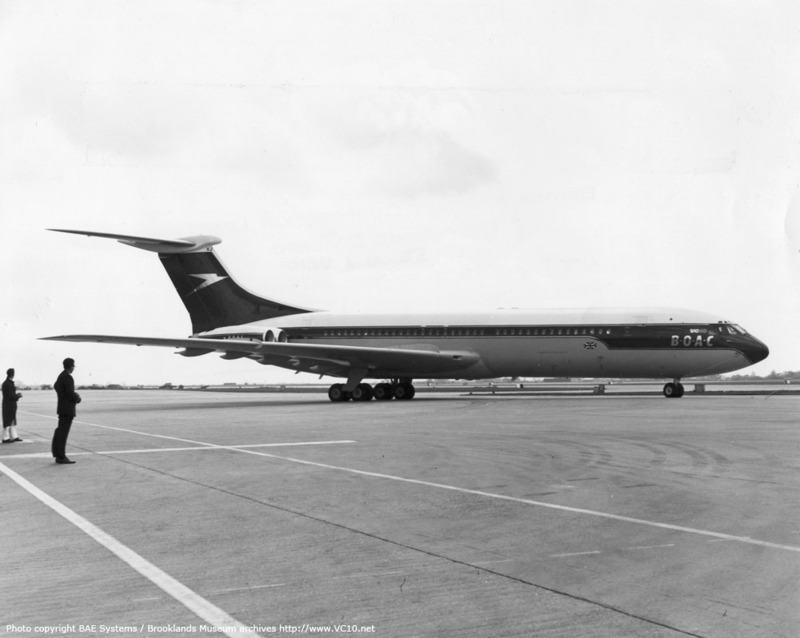 29 April 1964 Operates the first service for BOAC, flying from London Heathrow to Lagos. 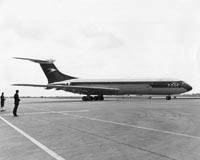 30 April 1964 Introduction of Nigeria Airways VC10 services with G-ARVJ operating the first flight. 1975 - 1981 Operated by BA for the ruler of Qatar under a wet-lease construction. 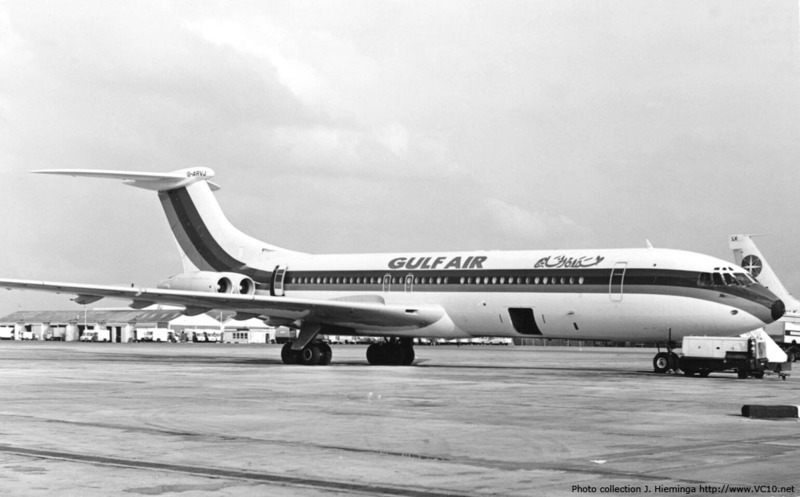 The aircraft was painted in a Gulf Air colour scheme in October 1975 and was sometimes used as a standby aircraft for the airline. 10 September 1982 Ferried LHR to Brize Norton as BA9553E. 20 September 1982 Ownership transferred to the RAF, assigned registration ZD493. 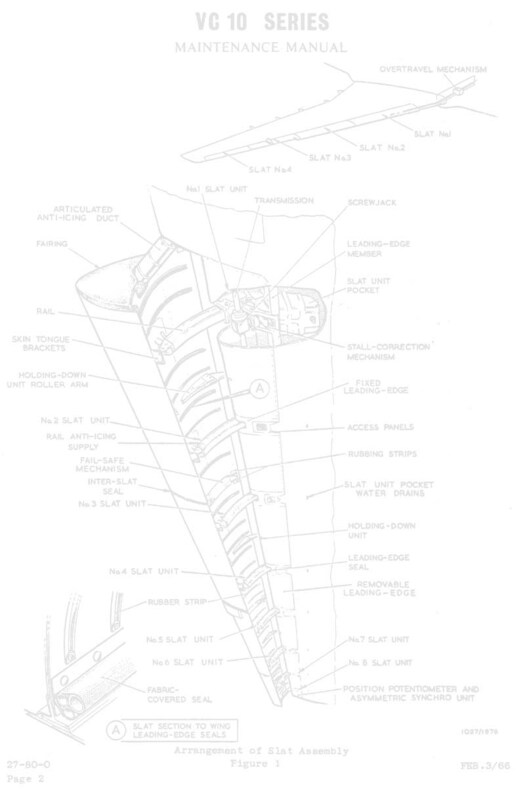 1990/1991 Used to test a trial repair on the wing center section, which was to be used on the Super VC10s at Abingdon before ferrying them to Filton for conversion. 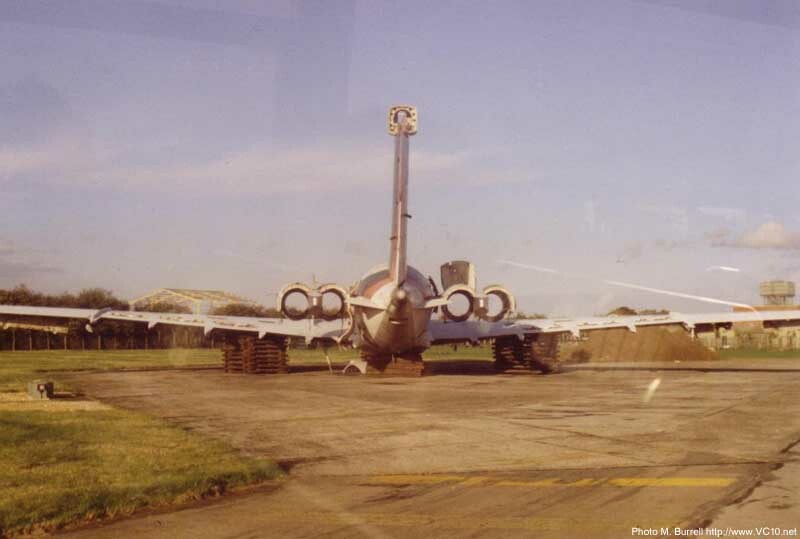 September 1991 Airframe broken up at Brize Norton. Fuselage may have survived on the fire dump until 1993/1994. 1. G-ARVJ taxiing in at an unknown location. On this early BOAC Golden Speedbird scheme the registration was hidden aft of the engines and to aid identification the last two letters have been added to the top of the fin. 2. Seen here being towed across the Heathrow maintenance base, the last two letters 'VJ' are visible just below the fin bullet. At a later stage the full registration was moved to the bullet itself. 3. Having been repainted, 'VJ is coming in to land at London Heathrow in April 1974. The merger into British Airways was underway at this time. 4. 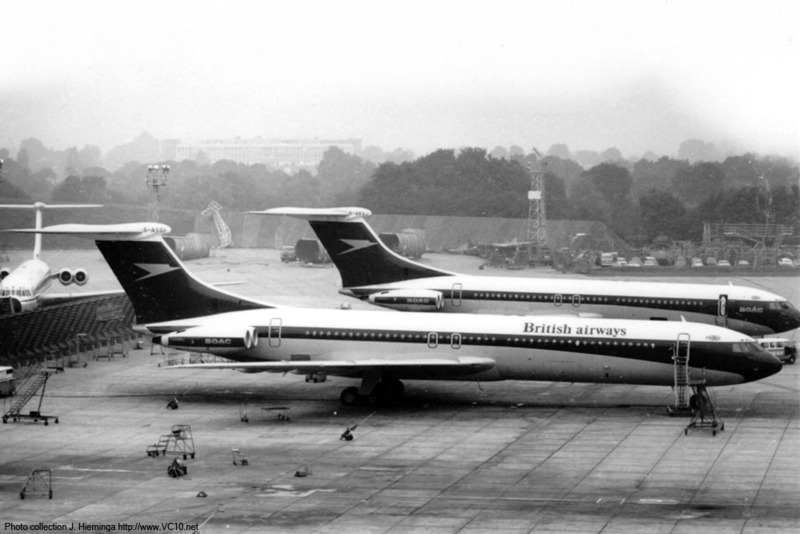 Judging by the British Airways titles on G-ASGF in the foreground, G-ARVJ (second airframe) is seen here in 1974, sharing the ramp in front of the TBA building with two Super VC10s. 1. On this photo G-ARVJ is seen parked at the BA Maintenance base in Gulf Air colours. The aircraft remained in the ownership of British Airways during its time flying the Emir of Qatar. 2. In this scheme it carried the Emir of Qatar but appeared at first glance to be a regular airliner. 3. 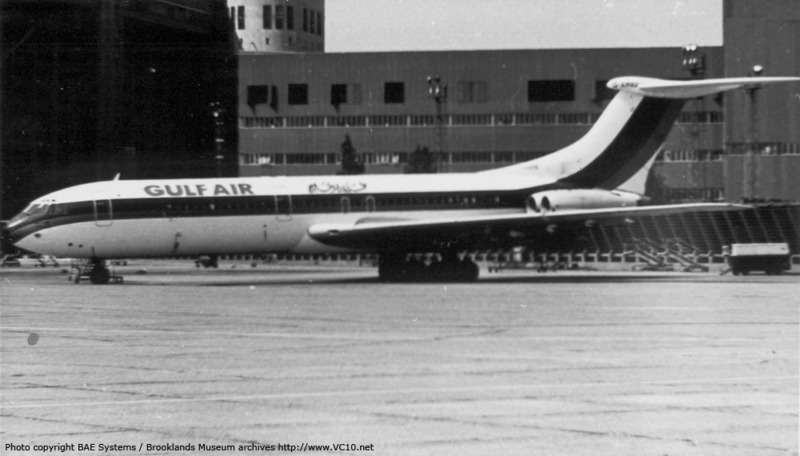 As shown on this photo, the Emir's VC10 also visited Paris' Charles de Gaulle airport. 4. 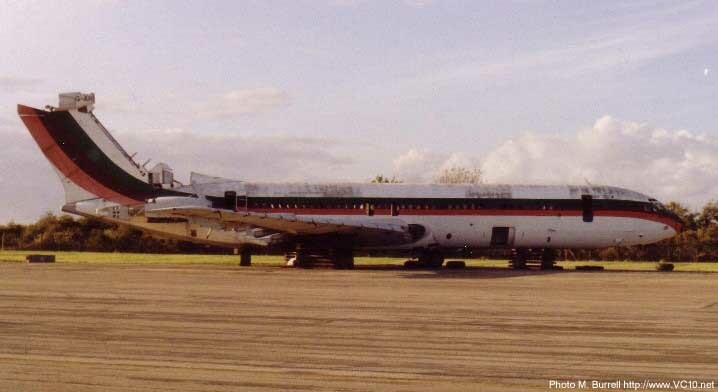 Now with the RAF as ZD493, stripped of spares at RAF Brize Norton in 1987. 1. Seen from the rear. 2. When this photo was taken in May 1989 the airframe seems to have been moved to a different location. 101 Squadron's tankers can be seen in the background. 3. G-ARVJ seen at Brize Norton in September 1991 with part of the wing lying next to it. 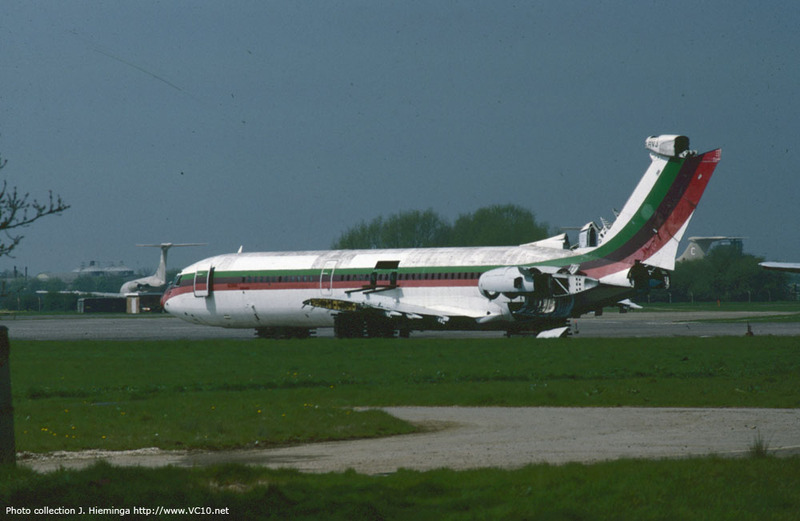 Having been used to test a repair to the wing center section, so that this could be carried out on the ex-BA Super VC10s before ferrying them to Filton, the airframe was scrapped just after this photo was taken. 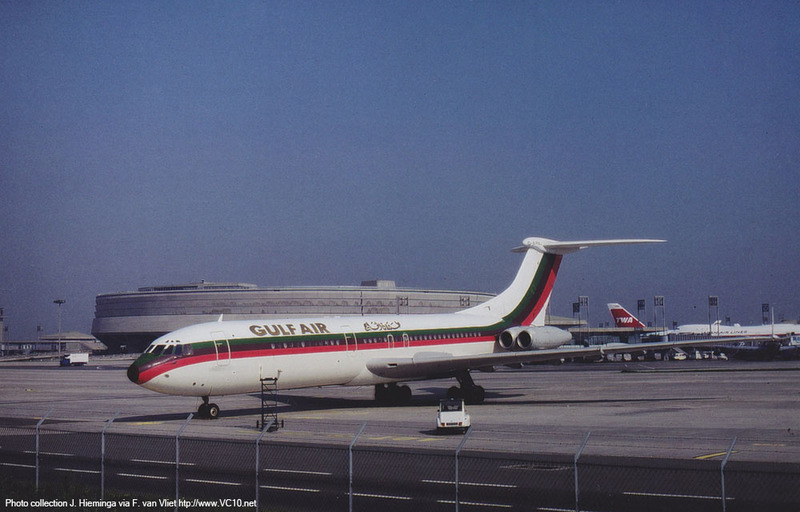 GA Gulf Air VC10 scheme, overall white with a large red, purple and green cheatline flowing from nose to fin. Gulf Air titles on forward fuselage.